only the 10-hour Petit Le Mans left in the season. caution periods in the first 80 minutes including one at the race start. different strategies began to emerge. handed off to Garcia during that stop, and Milner also took over for Gavin. pretty incredible. That's what it is. Another podium for the championship. positive. Off to the last one at Road Atlanta and go for a win there." 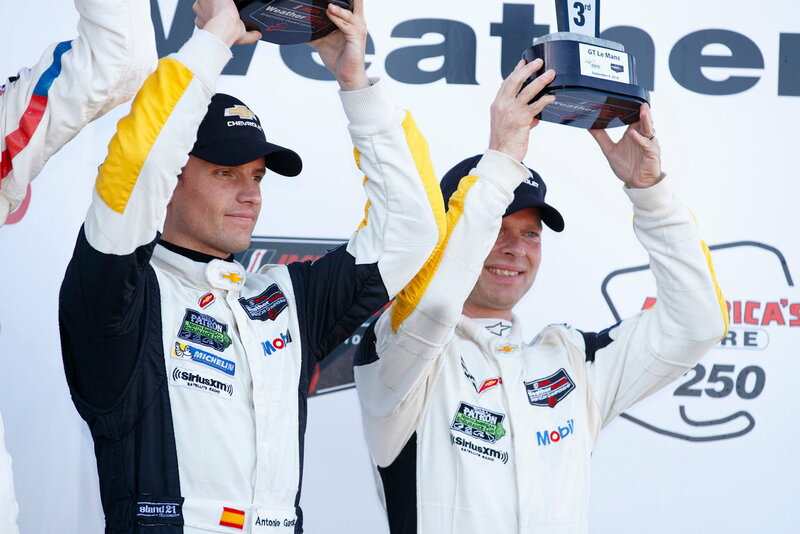 GTLM: "It's tough to describe because so much happened during the race. session, everything went well; I was pulling away and the car was nice. of race to go.’ But then it just got a little bit ridiculous with the No. car, maybe the track deteriorated a bit for us and the balance went away.